We’re encouraging you to join us as we read the Bible together in one year. 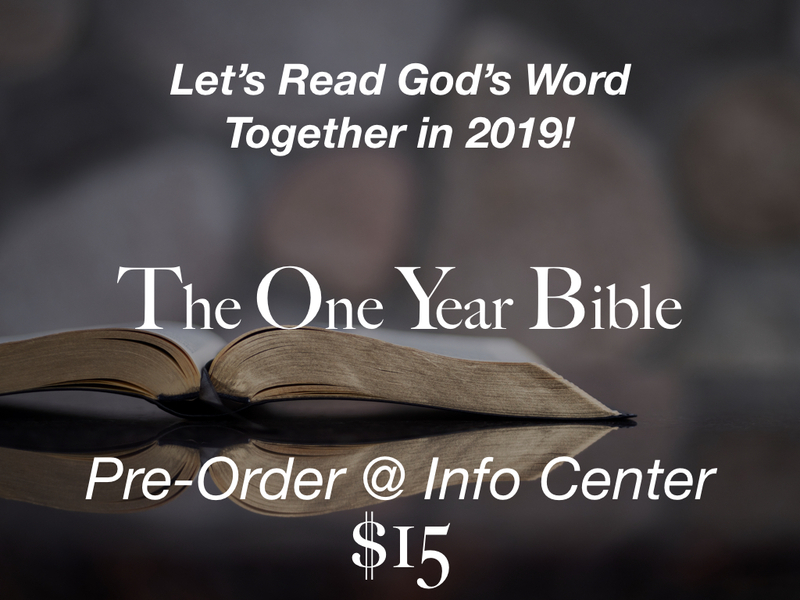 Feel free to pre-order a paperback One Year Bible (NIV) at the Info Center for $15. In addition, you can follow along for free on the Youversion Bible App. Let’s read God’s Word together in 2019!